In last week’s feature we spotlighted one of Big City Stories’ main gameplay mechanics: the ability to switch from city planning to third person without a loading screen. We briefly mentioned “activities” that you could engage in at any time. These mini games offer bursts of different gameplay that can be initiated at anytime. The QA team calls our first activity “Zombie Splat,” but there’s no telling what name will stick. The goal is to protect your citizens from waves of brain-hungry zombies. You can take out the zombies by running them over, or shooting them with fireworks. Yeah, it’s ridiculous, and a total blast to play. The game is composed of waves, with each more challenging than the last. The zombies run through your streets attacking and infecting your citizens. Make sure you watch the citizen counter at the bottom of the screen because if it hits zero, you lose. 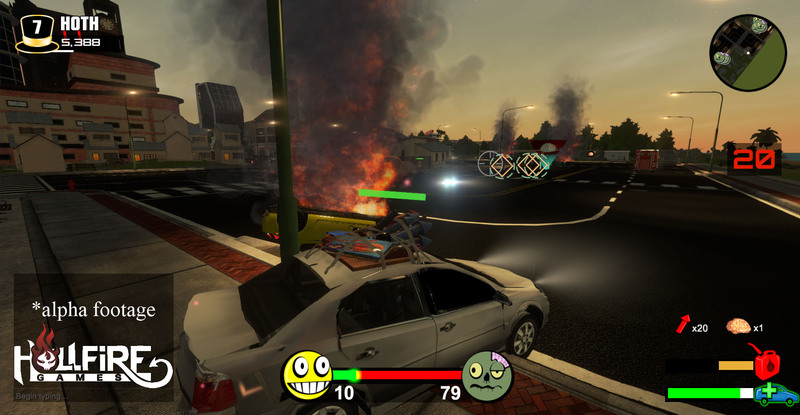 It’s imperative that you drive through your streets with total mastery, picking up more fireworks, shooting zombies, and barreling over them with your vehicle in order to maximize your score. You can rack up big points by stringing multiple kills together. 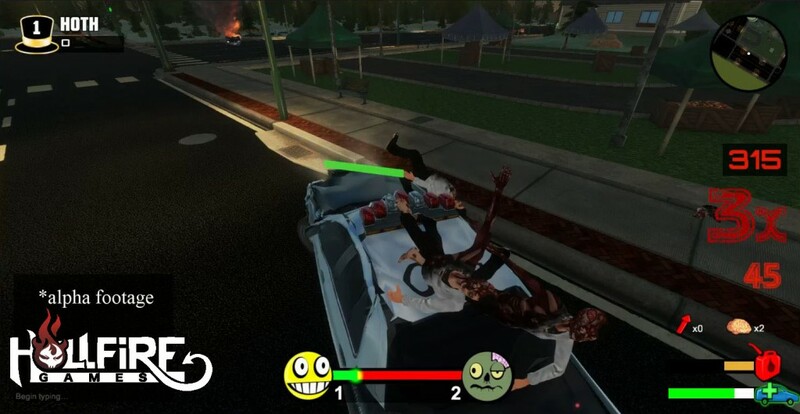 You can also utilize “bait” to lure zombies into tight spots so you can run them over and rack up massive combos. This mini game is only one of many to be included in Big City Stories, and illustrates the variety of things to do within the game. You can carefully craft your perfect city, manage every park and building location, and keep your citizens happy. Then, protect your streets from zombie hordes with a firework arsenal and strive to be the champion of the leaderboard any time you want. Next week we return to the city building component and focus on upgrades.